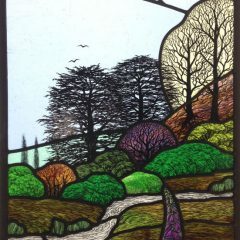 Juliet produces detailed contemporary stained glass art using traditional kiln-fired painting and staining techniques. She also fuses glass, making decorative and functional wares. She is inspired by nature, science and the luminous quality of glass itself. 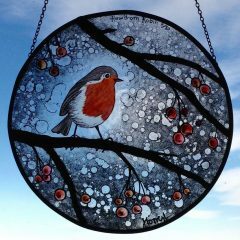 She regularly undertakes commissions for windows, where she can incorporate your ideas into a vibrant design that will fit in its setting. In her home studio she has demonstration pieces for view and inspiration, as well as photographs of previous commissions. 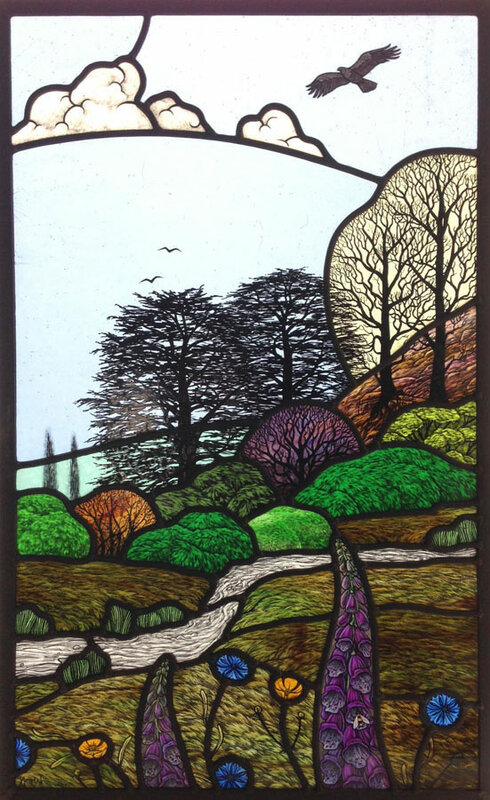 She also designs and makes smaller glass artworks to hang in a window or display in bespoke stands. She specialises in traditional kiln fired painting, which adds extra depth and detail to glass design. 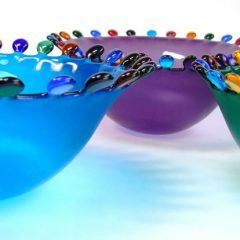 She also works with fused glass, producing a variety of wares including dishes, bowls, coasters and dichroic jewellery. Juliet also experiments in other media and there will be a variety of paintings, prints and cards to view at her studio. 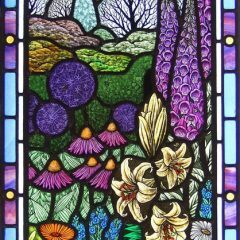 See a working glass studio, variety of different work in progress and items for sale, lovely views, tea and cake!